Vaderstad will use LAMMA 2016 to display a range of drills including its Tempo V precision drill with front mounted fertiliser hopper and upgraded Rapid A 400 and 600 drills, as well as cultivation equipment including Opus 400 and Carrier 625XL. Tempo V is a three-point linkage, vertical folding machine for up to 12 rows and is available in seven different models. 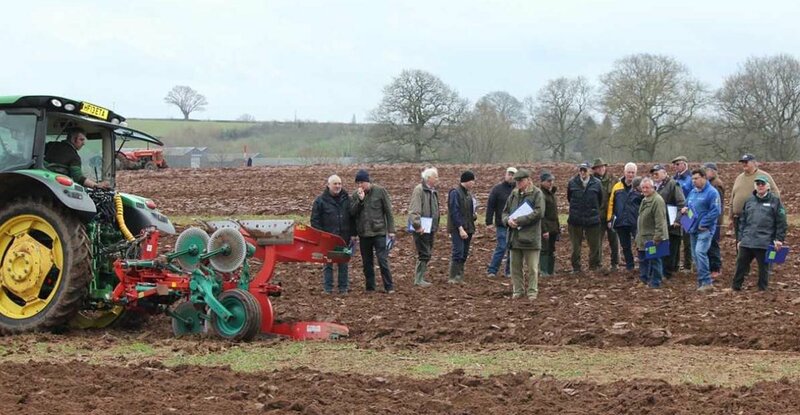 The drill frame is designed so that row units and fertiliser coulters can be moved to any position. Its new aluminium seed meter has an emptying hatch for easy cleaning when changing crops. A new front fertiliser hopper with capacity of 350kg/ha will also be available. A sloping front gives the driver improved visibility and the wide opening makes it easy to fill with a front loader. The improved Rapid drill includes new features such as integrated fan, upgraded platform and steps for better access, new V30 hubs on the machine’s discs and intermediate packers and wing packers. The company’s smaller trailed Opus cultivator with 27cm tine spacing and 80cm clearance and boasting the MixIn shin will be on the stand. Information on its U-profile packer SoilRunner and alternative steel roller SteelRunner will also be available.